Pre Work Out Monster gives energy and focus to complete the workout. This cutting-edge formula is designed to deliver extreme energy while providing thermogenic fat burning effects. It contains CLA which promotes healthy weight loss and exercise recovery. 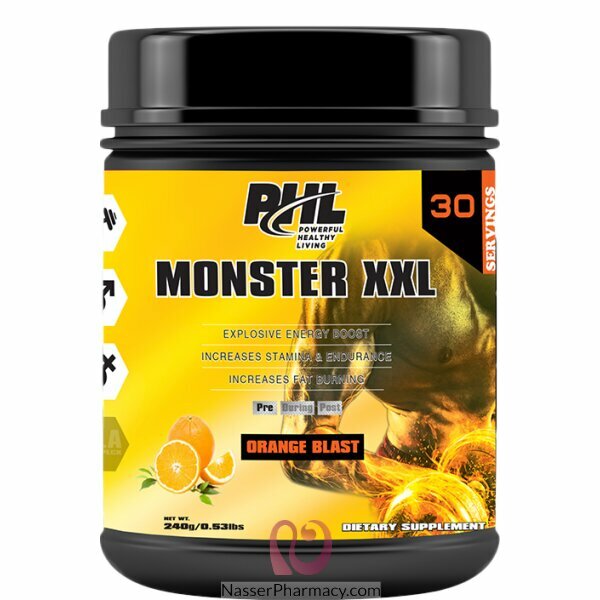 Monster XXL complex is specifically designed to provide energy and focus to enhance overall workout. Mix 1 to 2 scoops with 8 to 16 oz of water and consume preferably before workout.